A map of Wichita Falls in 1890. Wichita Falls is a city in Wichita Couty, Texas, United States. The population of Wichita Falls was 107,000 in 2006. The mayors of Wichita Falls are Glenn Barham, Linda Ammons, Michael Smith, Dorothy Roberts Burns, Rick Hatcher, Tim Ingle and Mary Ward. Wichita Falls was founded on Sept. 27, 1872 when the Choctaw Indians settled the area in the early 18th century and then white settlers arrived in the 1860s to form cattle ranches. 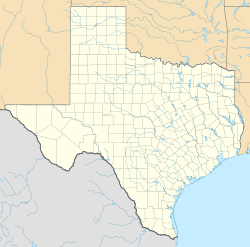 Wikimedia Commons has media related to Wichita Falls, Texas. This page was last changed on 30 January 2019, at 18:45.